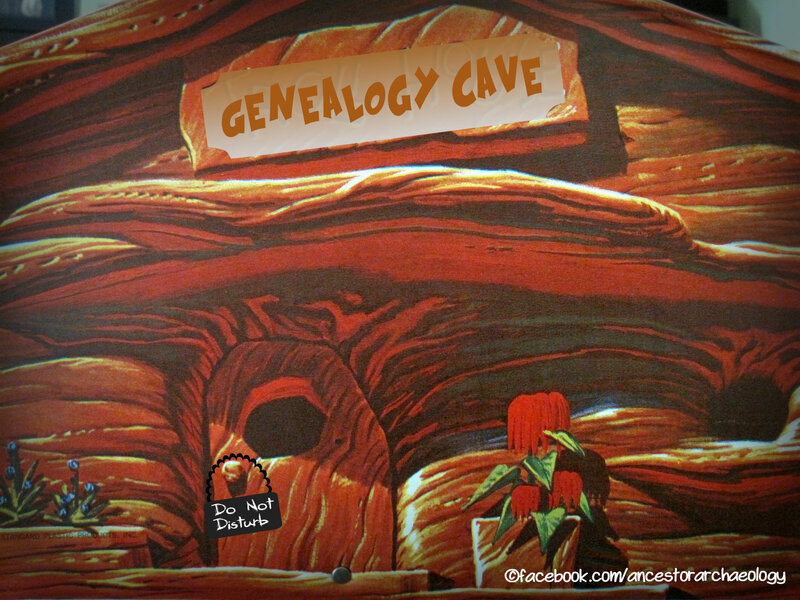 Finding Samuel in the census records was easy. He was the only Samuel Faulkner in Wallkill. Determining who his household members were? Challenging. In 1790 His household contained two males over 16, three males under 16 and five females of any age. So, there could potentially have been 8 children, four sons (which had now been determined) and four daughters. In 1800 the household contained one female under 16, three males & two females under 26, one male under 45 and one male & one female over 46. All males still accounted for, but one daughter either died or had gotten married. And by 1810 the household contained one male and one female over 46 years old. Samuel and Elinor presumably. That is the last census Samuel appears on. David, I already knew, was a dead end. The one and only time he ever appeared in the census was in 1850 in the household of James. I still have found no other records for him. John M Faulkner took me on a bit of an adventure, but his trail stopped cold in Tioga County. I have not yet pursued it further. Moving on to Robert, Ancestry rewarded me with a plethora of hints! I decided to follow that trail and see where it led. After filling in some facts with census records and adding Robert's wife Sally, I decided to take a look at Public member trees on Ancestry. There were well over 2,000 trees listing Robert! (Seems Robert and Sally were very fruitful.) Picking out a few that had actual sources (and not just copied Ancestry Family Tree info) I noticed several things. First, not one tree had Samuel as Robert's father, actually not one tree had any father for Robert. Second, all but a few did not have any record of Robert prior to 1850 when he removed to Indiana. New York state was listed as his birthplace on the 1850 and 60 census records, and most other Robert Faulkner researchers did have him born there. None of them showed any siblings for him, or any other particularly helpful information. Of course not! Why should it get easy now? But, there was one tree that had Wallkill as a possible residence! With Samuel as possibly his father! This was clearly the winner, this tree owner had done some digging and could maybe collaborate! I immediately contacted the author of this tree to share my discovery, and find out if she had any further information. Disappointingly, she has good research notes but no more information than I had. In fact she had less, as she had not discovered the land sales and could not confirm Wallkill as a birthplace. Her speculation on Samuel being Robert's father was based on the fact that there was a Samuel Faulkner and a Robert Faulkner listed next to each other on the 1810 Federal census, living in Wallkill. But she was never sure this was her man. We traded what we knew, but it was clear I was still on my own in this quest. Drilling down, I looked next at Wilkin genealogy. If the Blue Book was correct then Elizabeth Wilkin was Samuel's wife. Was Elinor a nickname for Elizabeth? Not really. And amid all the marriage records I could find, there was nothing for a Samuel Faulkner. Or an Elizabeth Wilkin. The Blue Book author had cited "Agricola Wilkin's Bible" as the source for this information, but the current location of this bible remains a mystery. I posed my dilemma to the OCGSNY yahoo group to see if anyone there knew anything. Seems we all had the same questions and no one had answers. I met a few Wilkin researchers who had been trying to solve the mystery for years. And these people were actually located in New York! They could go search the archives! Granted, none of them were following my specific line, I still seemed to be the only serious Faulkner researcher everywhere I went. Elizabeth was just a collateral curiosity. The group did not fail to point me to interesting sources however, and I was able to learn a few more facts about Samuel; but no one could shed any light on Elizabeth Wilkin or her marriage to Samuel. I started anew my now all too familiar campaign of scouring WorldCat, armed with new leads from the group. History books, biographies, published church records, I borrowed them all! And, in the time since I begun this quest some of the material I had borrowed previously had been digitized! While waiting I dug into what I could now access online. As the books began to trickle in I rushed to the library in the hope that my answers lay in the newest arrival. Although fascinating, fun, and by now familiar, as my "old friends" appeared, first in one book, then another, I was not making any helpful discoveries. 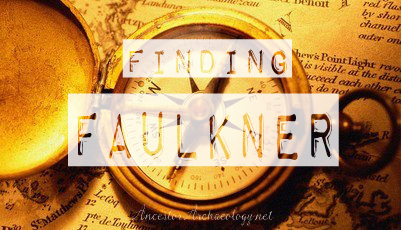 There were plenty of Faulkners and Wilkins, but I was not finding the Faulkner or Wilkin I was looking for. Disappointed, it became very clear following Elizabeth, or any of the Wilkins really, would get me no further. Time to put on my patience hat and circle back to Samuel, still hiding in plain sight.